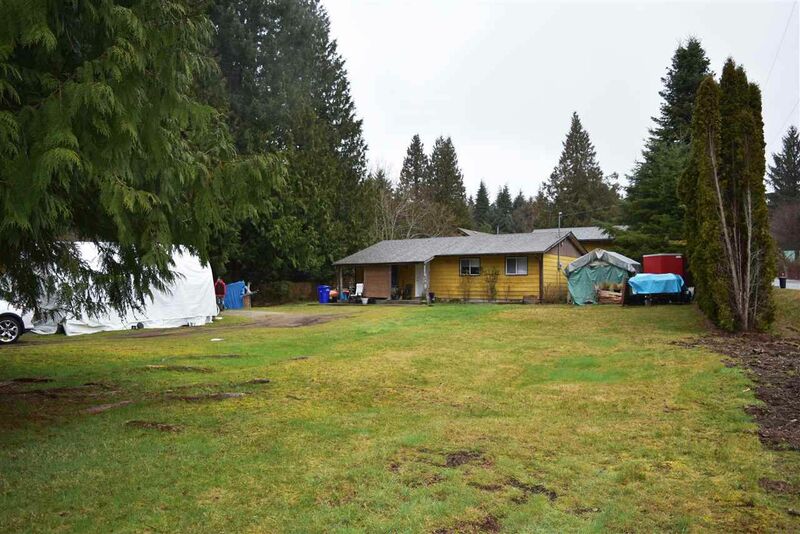 Desirable location for this level acreage with a 3 bedroom rancher situated in central West Sechelt. The home has an open plan with living, kitchen and dining area, sunroom off the dining room and separate laundry off the kitchen. Located the corner of Gowland and Acorn Road you will find this 1.45 acreage and meandering Wood Creek running through a portion. The property also has a detached carport/workshop 28' X 20' and another storage/workshop 24' X 14'. Potential future subdivision with building site other side of the creek.